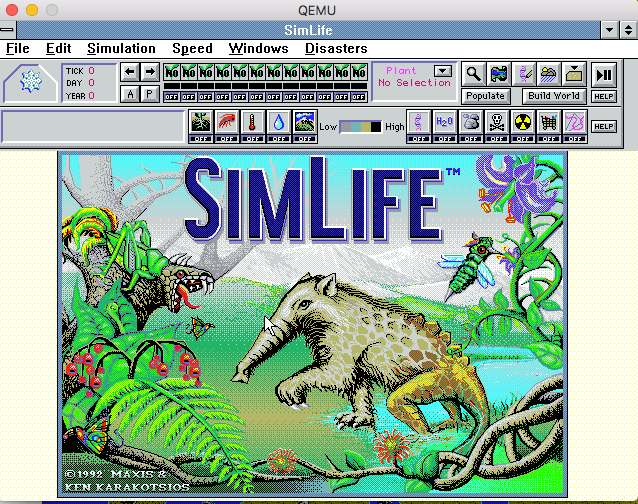 In this case, I’m looking at the ultra popular Sim series, and their Windows releases. 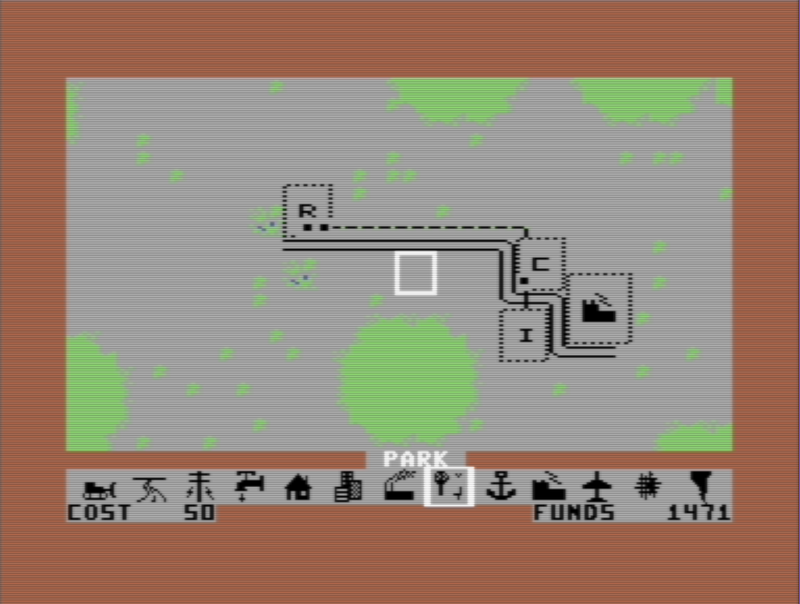 While I was a big fan of SimCity, especially having played it on an Amiga, when I found out that there was a Commodore 64 version I had bought it immediately as I wanted to play it at home. And let me tell you, it was a severely underwhelming experience. From the logo it’s all down hill. 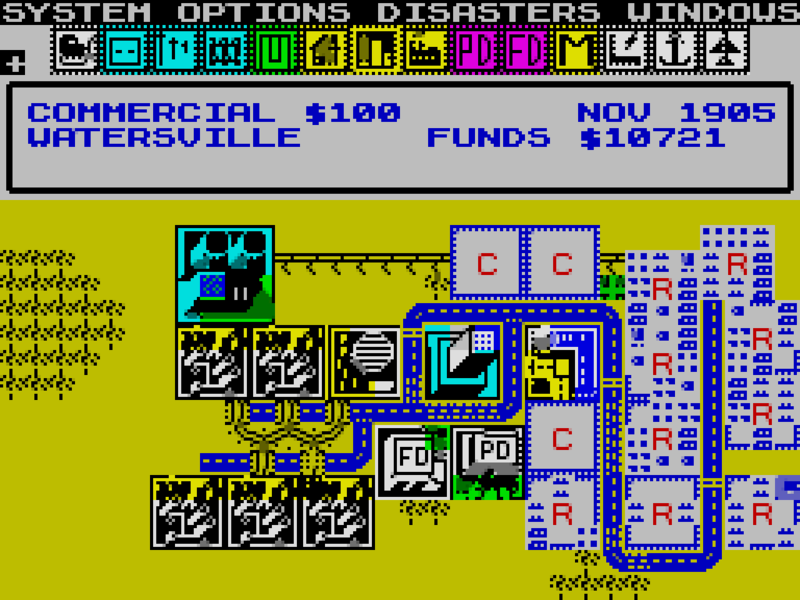 I know that SimCity is actually from 1985, and as the first version, the Commodore 64 version is basically the prototype. Which was just graphically underwhelming, but I still played the hell out of it. And then I saw the Spectrum 48k version. Yes the blocks are ‘buildings’ as the units fill up they will turn into black with only the letter remaining. 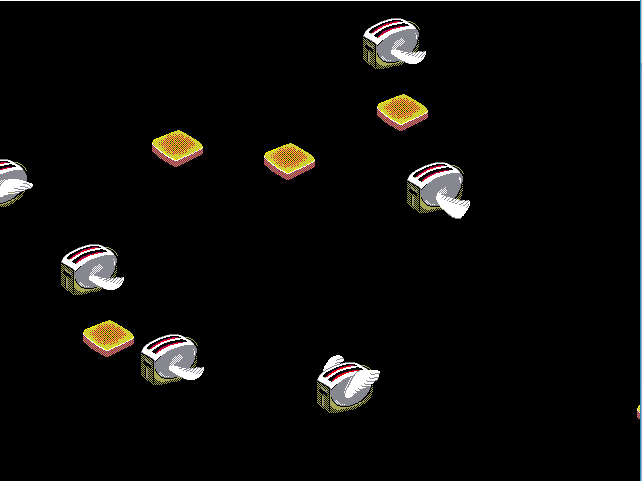 Despite the ultra minimal graphics, the game play is there. And once you get used to the bizarre combination keyboard+joystick controls it is addictive. I mean it is SimCity! 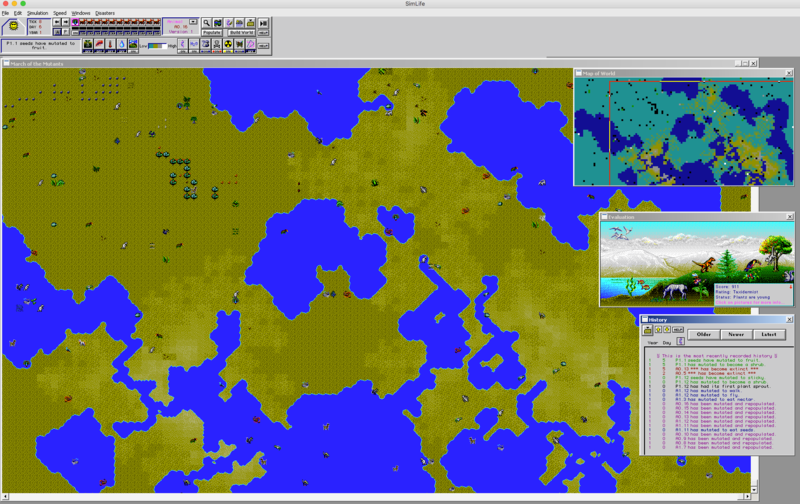 But going to the PC, I kind of grew out of SimCity. DooM was the hot game, and the whole immersive 3d thing. And of course during that era being on the PC I only knew of the MS-DOS version. 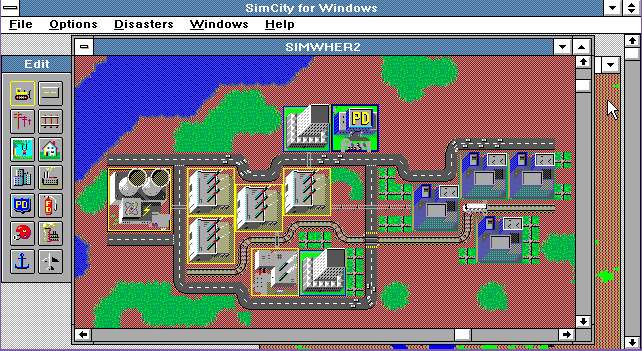 While there was a version for OS/2 Warp released much much later, and by then if I felt the urge there was SimCity 2000 for Windows. 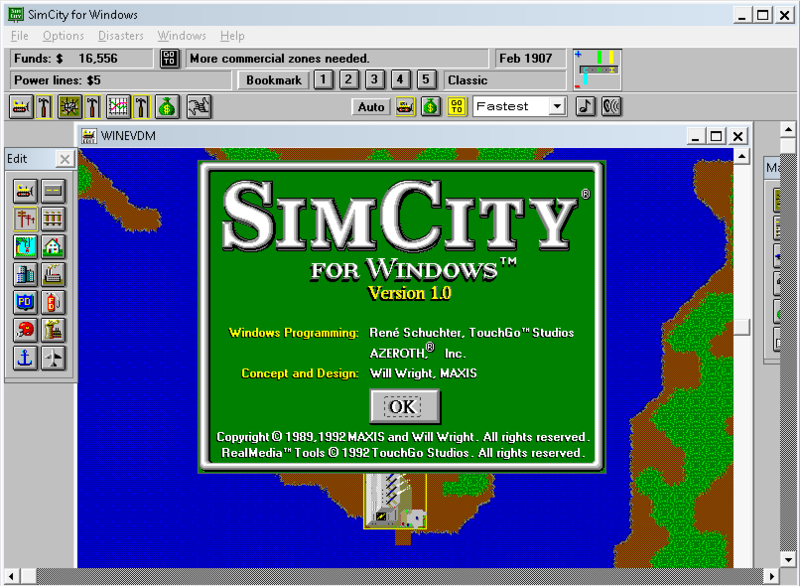 But after getting the kick for SimEarth, and finding the Windows 3.0 version, I was much surprised to find out that there was a version of SimCity of Windows 3.0 as well! And I can see why I never had seen this for retail, or knew anyone who had it. That’s right in the included form, the price was $59.95. And SimEarth was $69.95! To put that in perspective that would be now $107.17, and $125.04 respectively. And people think $60 for a game today is expensive! 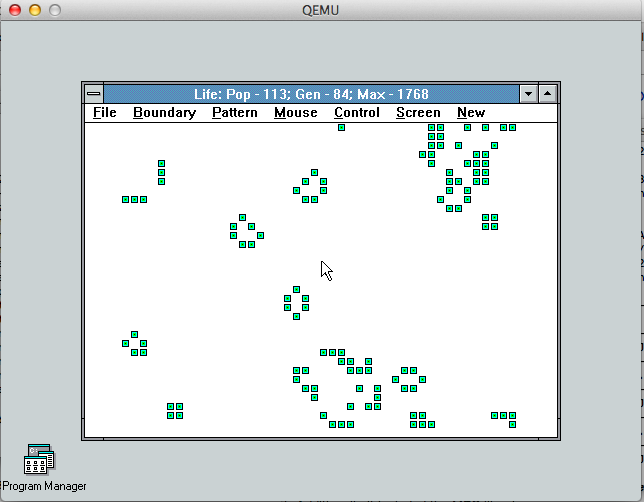 To get the full experience I went ahead and loaded up PCem, with a 386 and EGA graphics to get that original feel. 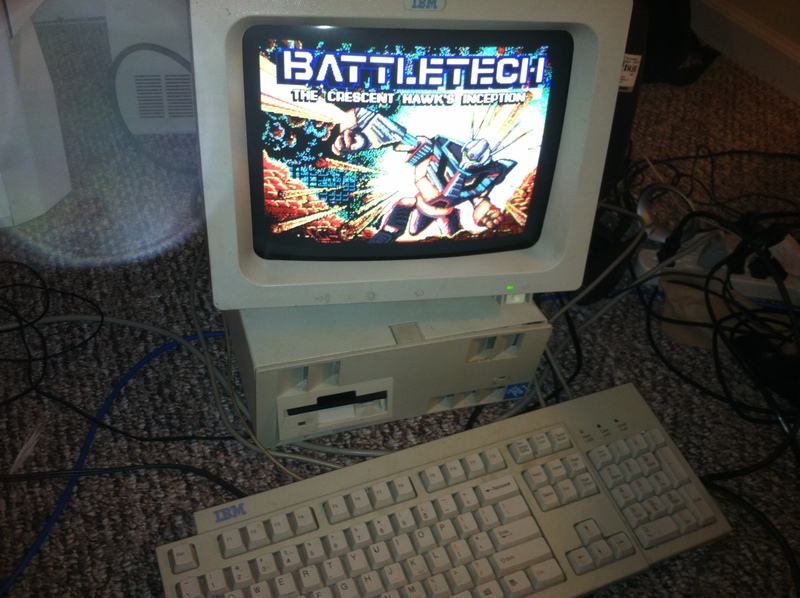 Since this requires Windows 3.0, with either EGA or VGA graphics, and 2MB of RAM, I figured I would go with a ‘top of the line’ souped up 386DX.  I tried to load it up with the Wyse700 driver, and the game fails to load resources. I don’t know if its even possible to make black and white or four colour resources, as I live in the future, and I have millions of colours! That said, I tested and it has no issues with 8bit depths either. 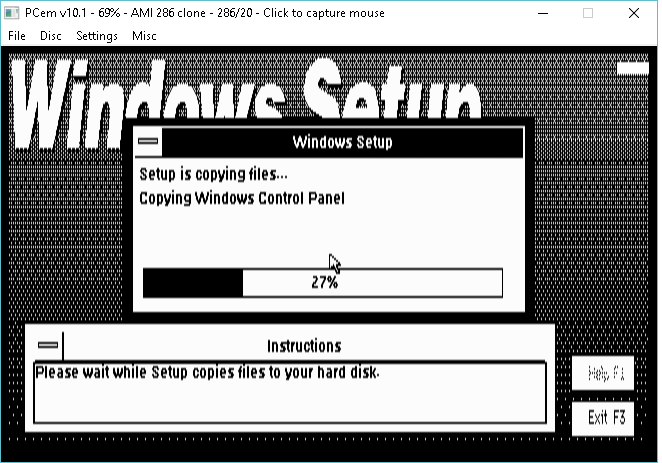 Installation is pretty smooth, the game is shipped on either two 360k 5 1/4″ diskettes, or a single 720kb diskette. While modern games have so much more, there is many things this game is lacking. But Maxine isn’t one of them. No really, she is listed as a feature. The music is through the PC speaker. 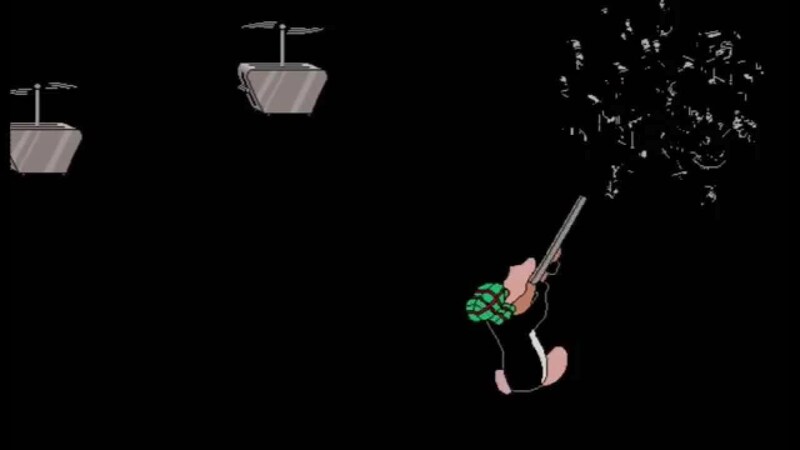 Just like the sound effects. 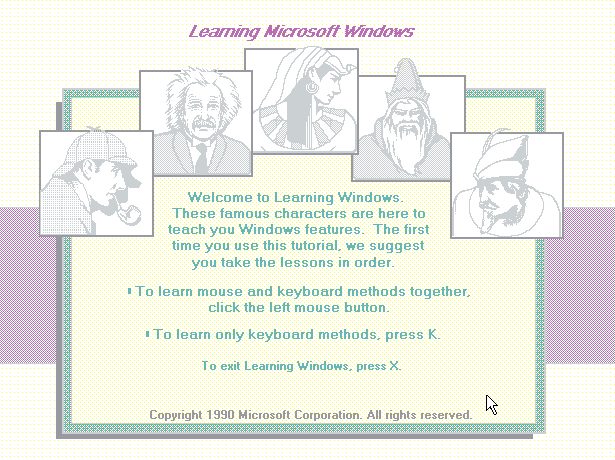 Multimedia integration with Windows that we take for granted today just wasn’t a thing back then. The version I have is 1.0, Although a pirated version 1.1 that was sent in actually includes WAV sound effects, and a single midi track. 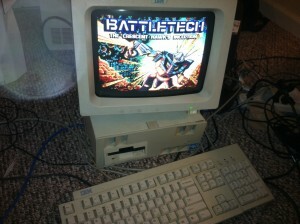 However it doesn’t run on Windows 3.0. So lucky me! Ah the UAE, the bane of Windows 3.0. 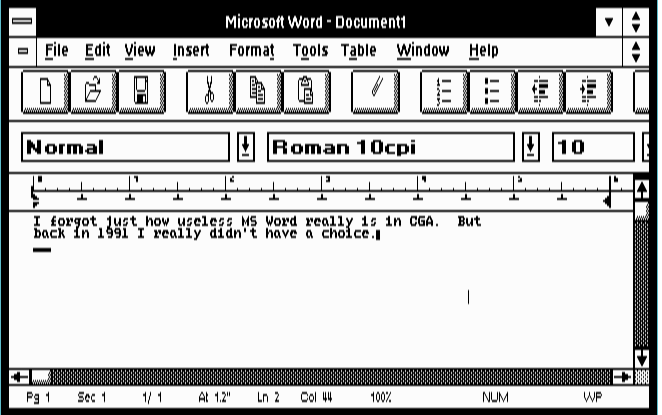 They were so unpopular that Microsoft had to rename the dialog. 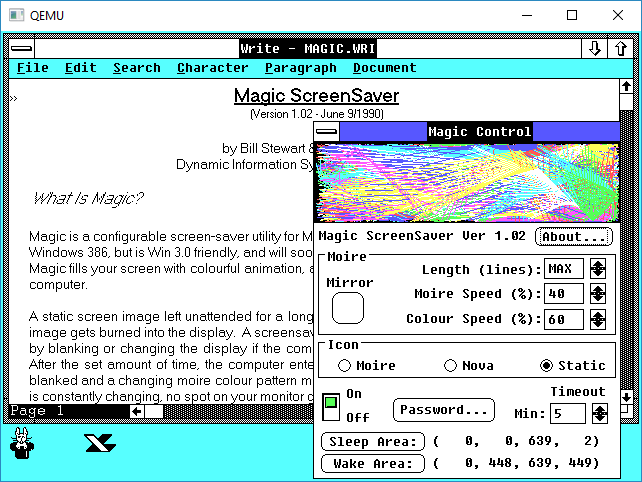 While using a SVGA driver so I can get that impossible to afford experience of 1280×1024 in 256 colours, but the application was never meant to run in something that wide. You can easily put child windows ‘behind’ the dead space, and you can never recover them. You have to save and re-launch. bummer. I sure hope Raymond got something for his efforts! And yes, rest assured it actually does work. 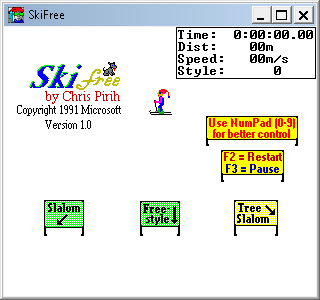 It even works on Windows 3.00a under Citrix MULTIUSER 2.0. 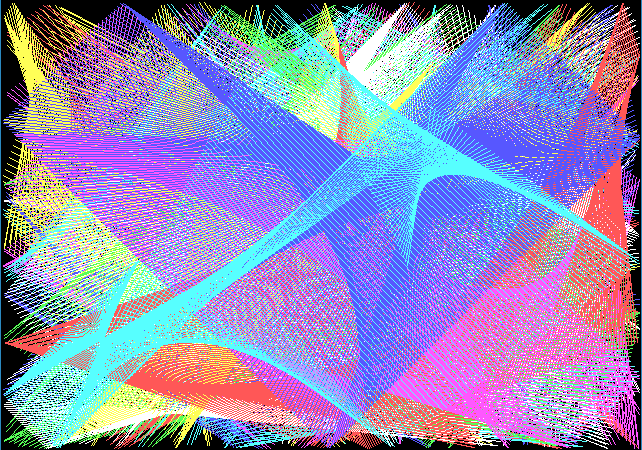 Pointless as there is no way to have remote graphical displays but nice to see it work. So what went wrong? Where was all the follow up games for Windows? Obviously the hardware needed was incredibly expensive. 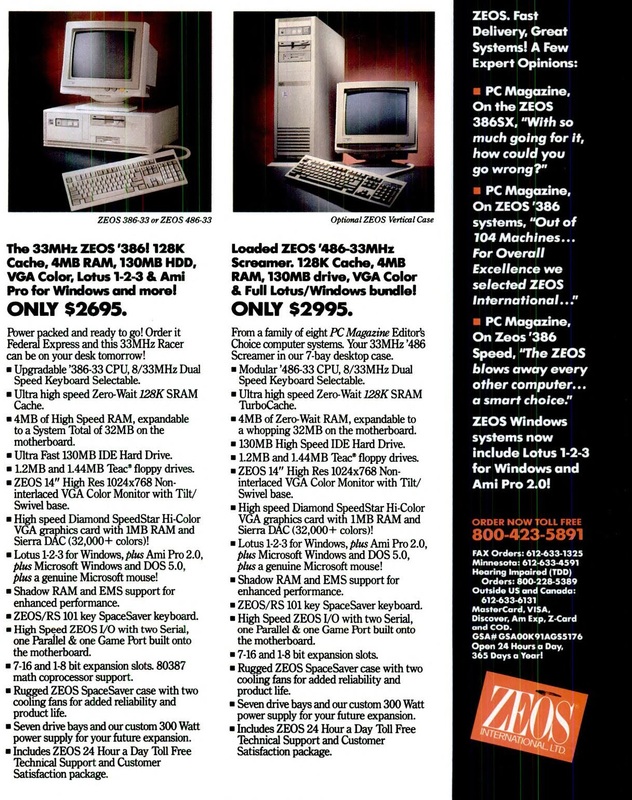 A 386 or even a 286 with a few megabytes of RAM was expensive. 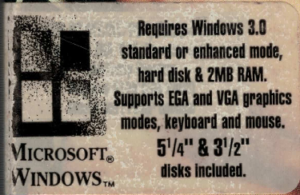 VGA or EGA monitors were also very expensive. Even mice were expensive! Putting together a low end PC basically barred you from this high end premier experience. I can’t imagine that Maxis sold many copies of this. As mentioned above I’m pretty sure there is a reason why I never saw this in the wild. Spending $3000 in early 1992, which is $5197.95 in today’s money. I can’t even begin to imagine spending over $5,000 to play a game. It’s no wonder when older machines show up on eBay people want far too much for them. In a strange way I like to watch SimCity animate in the background. It’s like a fish tank, or staring out into a busy street. With the advantage that I can summon a giant lizard to destroy it at my whim. So with all the excitement with jsDOSBox it was about time I tried to get something from my old java dosbox stuff running again. As a quick note, as of right now, you cannot boot into a disk image… Nor can you really run bat files, or any kind of drivers beforehand. It’s basically either use a script that adds files one by one, or use an image file which gets mounted, and you run your exe/com file from that. 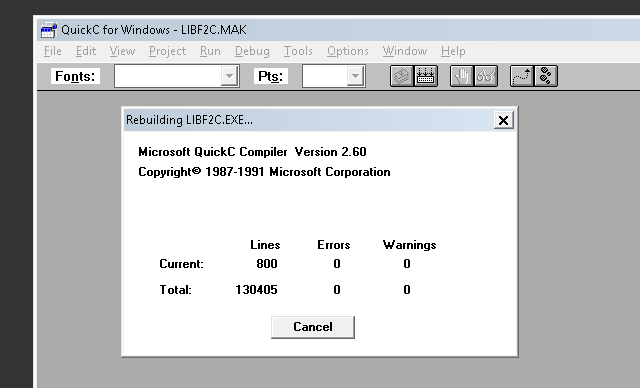 So here we go, back again is the old Fortran Dungeon (zork) compiled with QuickC for Windows, running on the working model version of Windows 3.0. 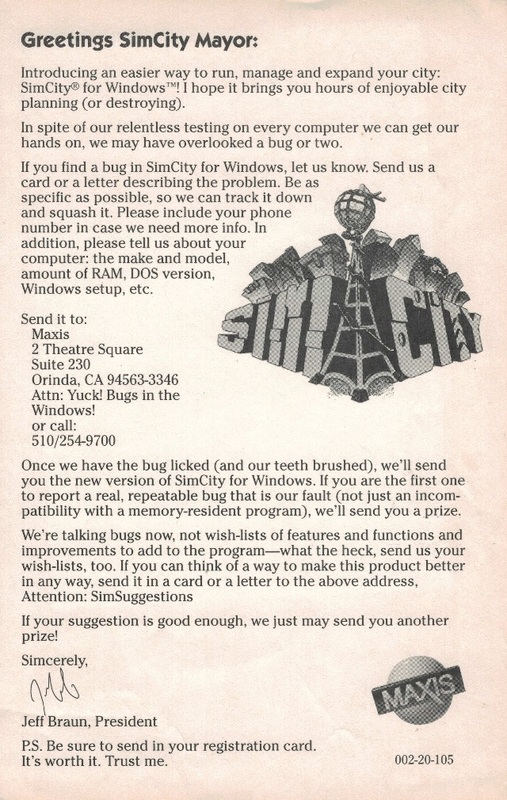 For anyone interested my old post about this Fortran/Zork adventure is here. This was the first version of Watcom that included the much beloved DOS4/GW dos extender. Funny enough it doesn’t bind in a stub for running DOS4/GW by itself, you have to do it manually or I guess write the stub for yourself. Another fun feature of Watcom C/386 8.5 is that it includes the win386 windows extender. 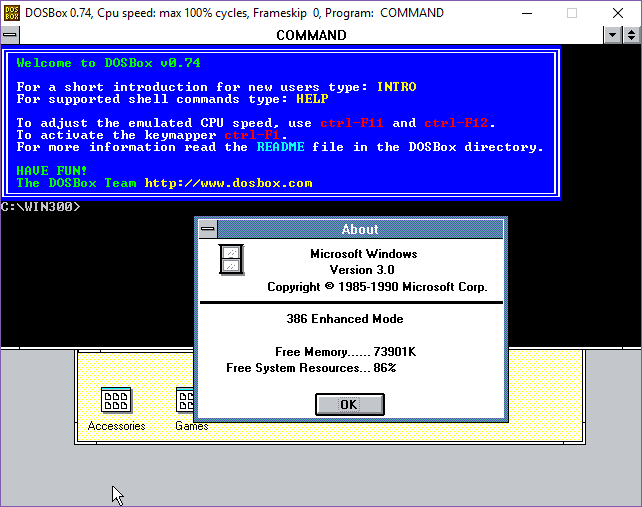 Basically it does to Windows 3.0 what DOS4/GW does to MS-DOS. 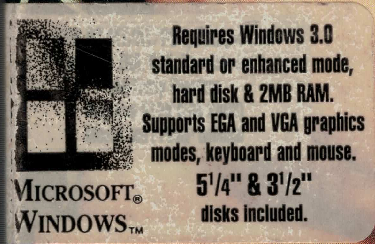 Now I’ve never messed around with win386 that much because by the time I did have a 386sx processor with more than 1MB of ram, Win32s & OS/2 2.1 were all the rage. But in the world of VM’s I thought I’d give it a shot. 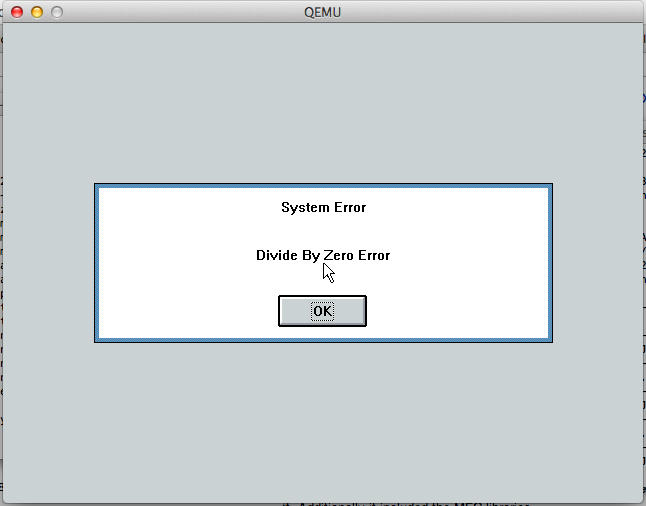 It turns out that it is a timing loop error, and effects of all things Microsoft FoxPro! The solution is provided by Microsoft, in the form of IPatchFP.exe. Naturally it is a console Win32 executable. 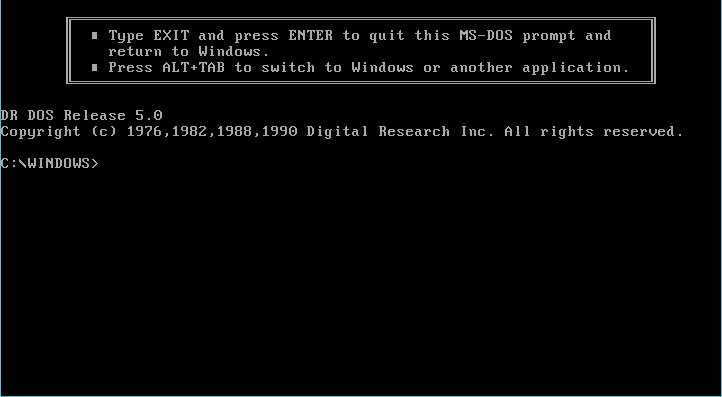 But with enough of the HX DOS Extender‘s runtime I can run the patch inside of MS-DOS. With my executable all patched up, I can now run the game of life! Which is all very exciting. 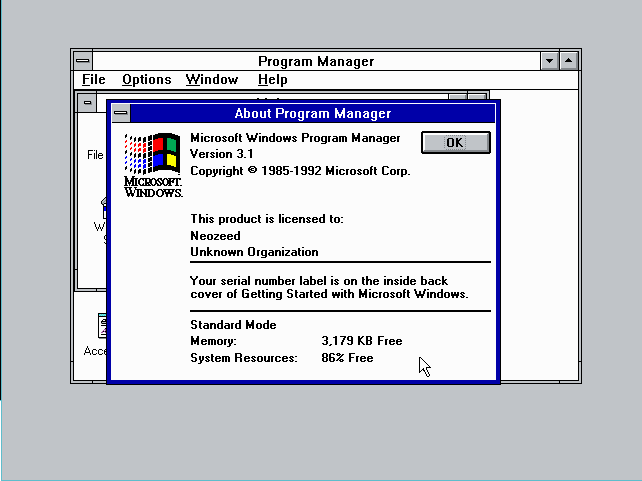 Win386 was very cool for the time, taking the Win16 API and making their own Win32 set out of it. 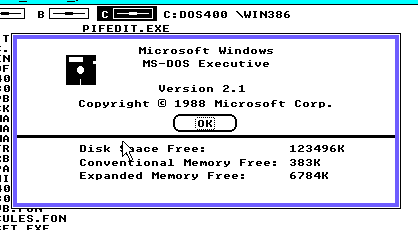 Another cool thing is that there wasn’t a separate runtime to repackage, as Win386 was just bound to the executable. I’m sure it didn’t fall on deaf ears at Redmond with the disillusion of Cruiser, that Win16 could have a brave new future in Win32. And I should mention I’ve gone over a lot of the Win32s versions here. 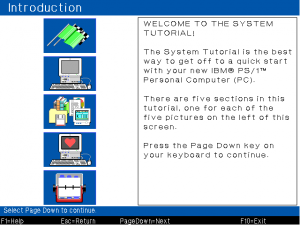 Not that prodigy even exists anymore, or there is anything you can do with it, so I figured I’d just add it in with jdosbox, and you can just click along.. I guess it was unique at the time when most OEMs just slapped together some stuff and shipped without going that extra crazy mile of doing some custom programs, or even trying to foster their own online community even if it was just too forward looking, and too much of an Island for 1991. So pastel, so Miami Vice! 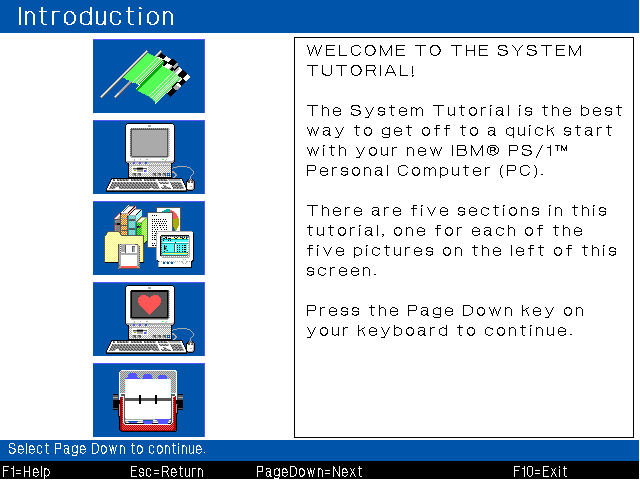 There is some very 90’s feeling Learning Windows that also came with the system.. I’ve never heard of it before. 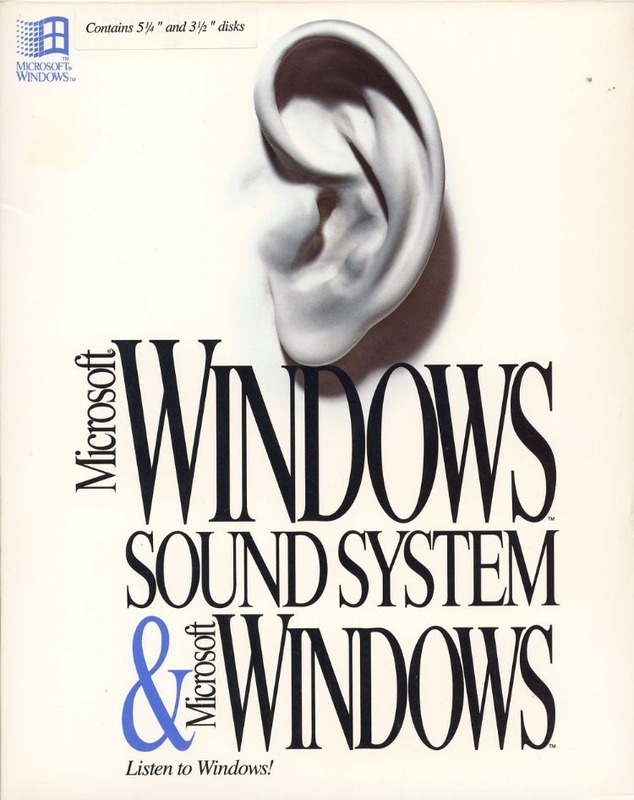 What is more interesting is that it is a Windows program, unlike the later introduction/tutors for Windows that were MS-DOS programs. 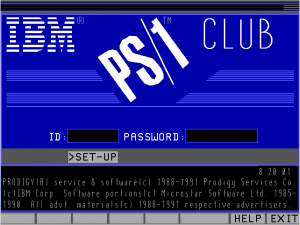 It’ll even run in real mode, which makes me wonder was it just such a major pain to put together that they swore to never do again, or was it specially made for IBM? At any rate most of the programs are MS-DOS based, there is a version of AOL that sits in between the time of Quantium Link & AOL called Promenade. Again since the service is dead there isn’t much you can do with the dialer software. 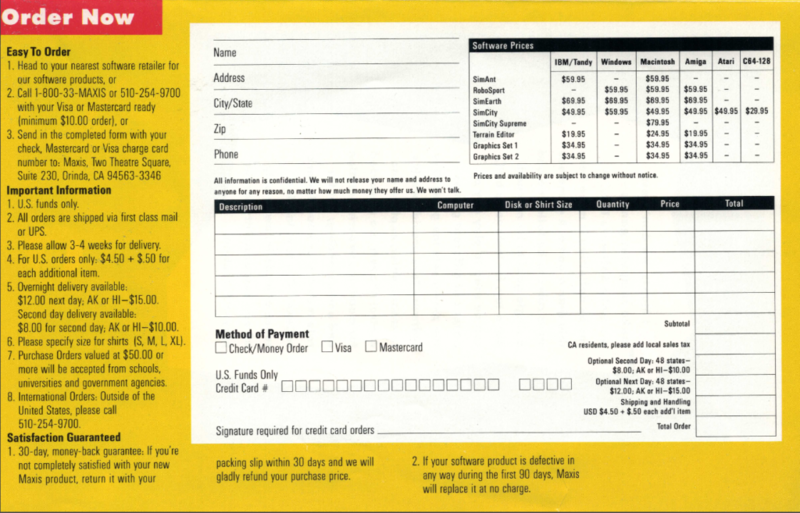 It does use GEOS like the later AOL software, but its skinned to look like Windows (SAA?). 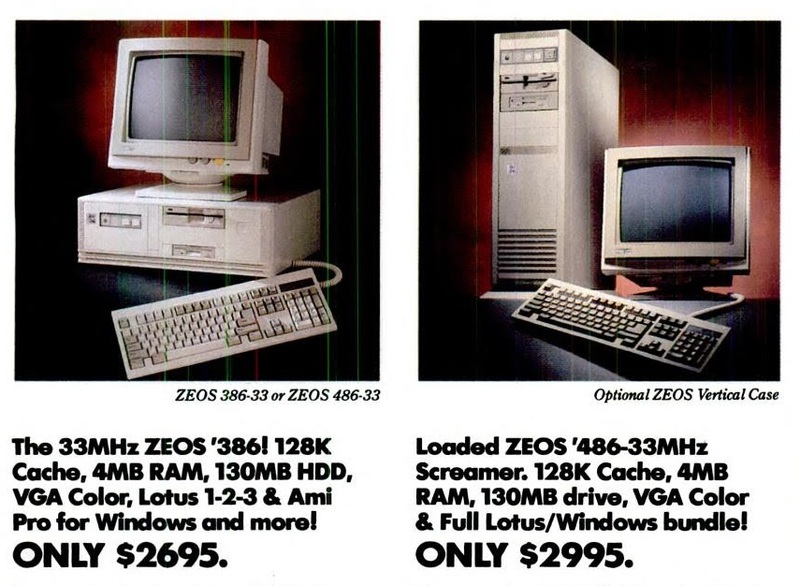 Oh well its a look at a distant OEM past, now IBM doesn’t make PC’s and I would almost guess that OEM’s would be forbidden or heavily shunned to make their own online social type thing, as of course everyone would be on face book …. PS/1 2121 doing what it does best..
At any rate, I’ve upgraded mine with a semi compatible sound blaster, and a network card.. With rlfossil an Conex, its a nice BBS terminal, with good ansi support. Sadly the bigger DJGPP stuff won’t run as I don’t have a math coprocessor, and I’m just not going to go through the motion of finding an 80387sx .. Assuming the PS/1 even has a socket for one (I haven’t seen it, but I didn’t look too hard). But I’ve found it good with old era games, as there is some things that just don’t seem to cooperate just right with emulation.. And sometimes it is nice to have some real machines… Sometimes.